Just because you don’t have much, it doesn’t mean you that have nothing to give! This is one of the values we have been working to instill in the students at our community center. When you live in poverty, your mind tends to be preoccupied with the daily struggles of just trying to survive. Where is your next meal coming from? Can you pay for your kid’s school? How will you manage if your child gets sick? Where can you scrape together a few cents to make that phone call to see if someone might have work for you? So you can imagine that the mere idea that you might be able to help someone else in need…can seem impossible. Yet service to others is clearly ingrained in the DNA of a Christian who strives to walk and live like Christ. Galatians 5:13 tells us to “serve one another humbly in love.” In Matthew 5:42 we are reminded to “give to those who ask” and in Matthew 23:11 exhorts us that the “greatest among you will be servant of all”. Paramount among the reasons why it is important for believers to serve is because it is a reflection of God and what He has done for us. He gave His only son to die on the cross for our sins so that we might be reunited with Him. Our giving to others is a reflection of the greatest gift of salvation that we have received. So how do we teach our students, many of whom come from difficult places and have limited resources, that they can help others? 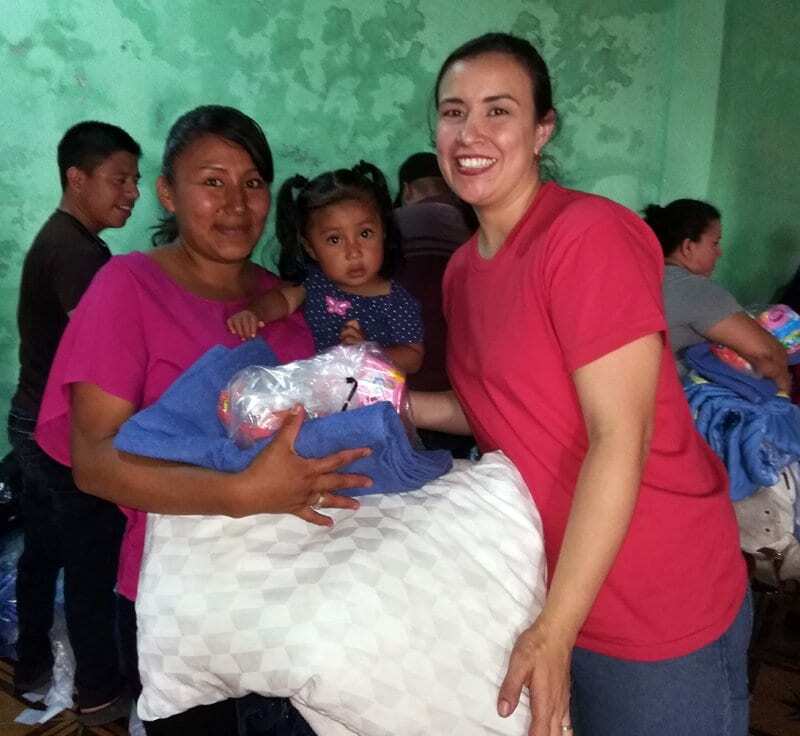 We approached this by teaching them to give of their time and instructing them that “Just because they don’t have much, it doesn’t mean that they have nothing to give.” Their time has value, and they can give that. We told them that we know that these are not people they know, but they are people in need and that as Matthew 25 tells us, “As you did it to the least of these my brothers, you did it unto me.” When we give our time, attention and resources to others, in reality, we are giving them to God. We also explained that our giving gives glory to God. Learning to give is not always easy; it goes against our sinful nature. We are born looking out for our own desires and comfort. Yet when we become Christians and followers of Christ, as we get to know what He expects of us and submit our lives to Him, He changes us to be others-minded. The fact that our selfish, sinful human hearts can be changed to put others first can only be attributed to God. Thus our giving… gives Him glory. Giving is a way we demonstrate our gratitude. 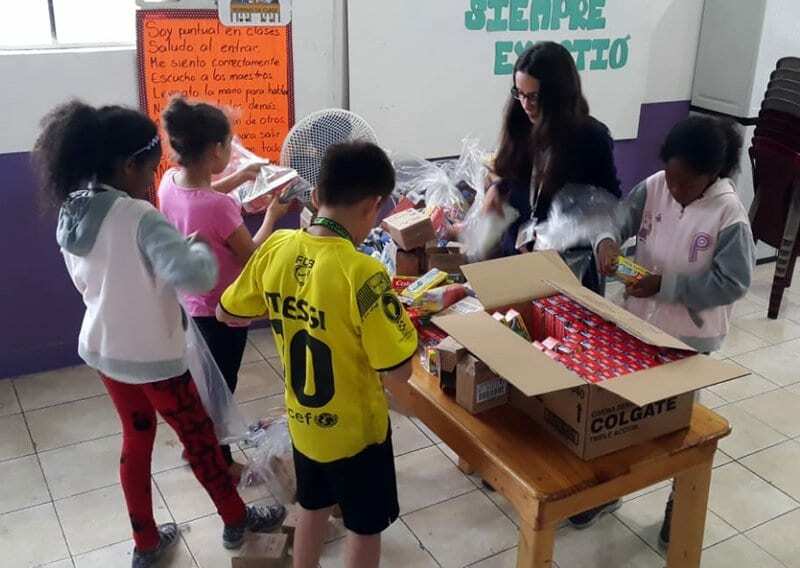 What greater way for our students to show their appreciation for the opportunity they have to learn in our center, then by giving of their time in service to others. Recently Guatemala suffered a terrible tragedy. Volcan de Fuego, or the Fire Volcano, erupted and hundreds of people lost their lives. Thousands were affected and in many of the towns around the mountain crops were destroyed by the volcanic ash. 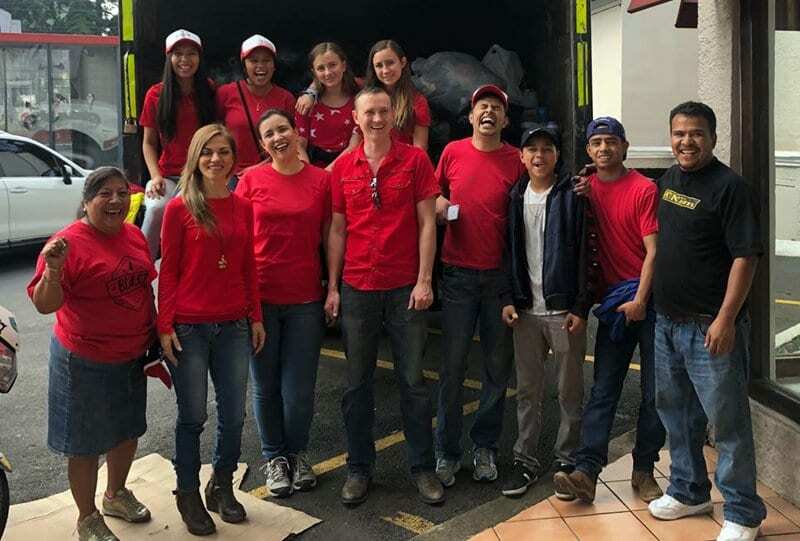 While disaster relief is not our main focus, we strongly believe that reaching out and serving people in their time of greatest need demonstrates the heart of God. After several people reached out to us to see if they could donate towards the victims’ needs, we setup an online fundraiser that raised enough support to purchase supplies for the victims. While our church collected food, clothing and cleaning supplies, we researched what additional needs existed among those affected and found many were asking for soap, shampoo, toothbrushes, baby wipes and personal hygiene products. Imagine for a moment what life is like when everything you have and own becomes covered in volcanic ash. Even if you have food to eat, cleaning yourself and your children becomes a constant challenge. So we challenged the children with this opportunity, explained the Christian basis for serving others, and they responded enthusiastically. 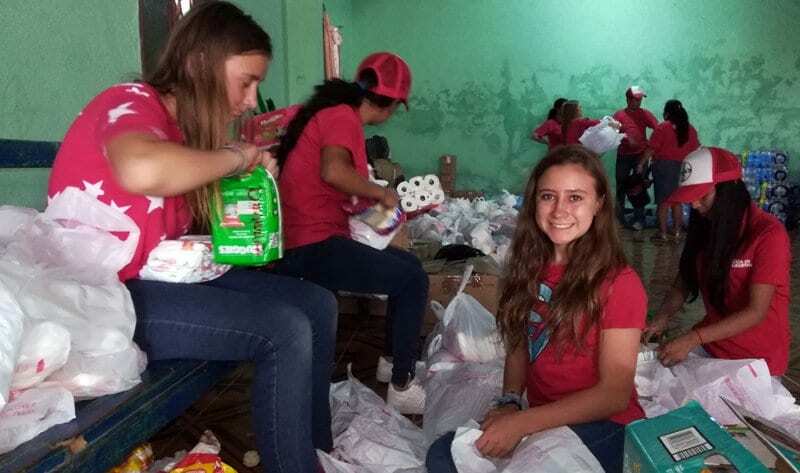 So our students gave of their time and spent hours packing and preparing the care packages. They had a joyous time of fun and laughter as they made a competition out of seeing which group could go the fastest to fill up the bags. Afterwards my wife and I, along with a few of our kids, accompanied our church to deliver the items we had prepared and several tons of supplies. We traveled to a town on the far side of the mountain that we heard hadn’t received any aid. We journeyed for miles and miles off the beaten road, bumping along in the back of a 4x4 pickup truck, crossing rivers and streams swollen by the rain and filled with boulders from the eruption that were washed down the mountain. Through partnership with a local pastor we were able to get the supplies to those who really needed them. Afterwards we shared the pictures of the event with the children the center and they were thrilled to see how their time, effort and service to others had been received. We constantly strive to apply a practical application to the Bible classes we receive. We don’t just want the Word to be something they hear, but something they do. The Christian life is meant to be dynamic, not static! We are not meant to receive the truth, knowledge and understanding of God and keep it to ourselves. We are meant to turn around and live it out to others and this disaster provided a wonderful opportunity for our students to do so.